The new parking plaza that we told you about earlier this month is nearly complete at Disney’s Hollywood Studios. 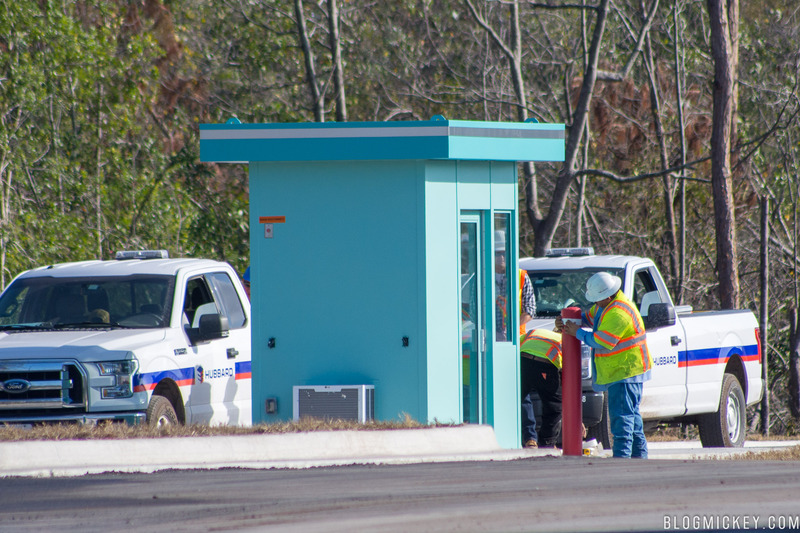 The new plaza will be ready in the coming days and will shift traffic away from the current toll plaza to allow construction crews to work in that area. As a reminder, here’s what the shift looks like from the air. 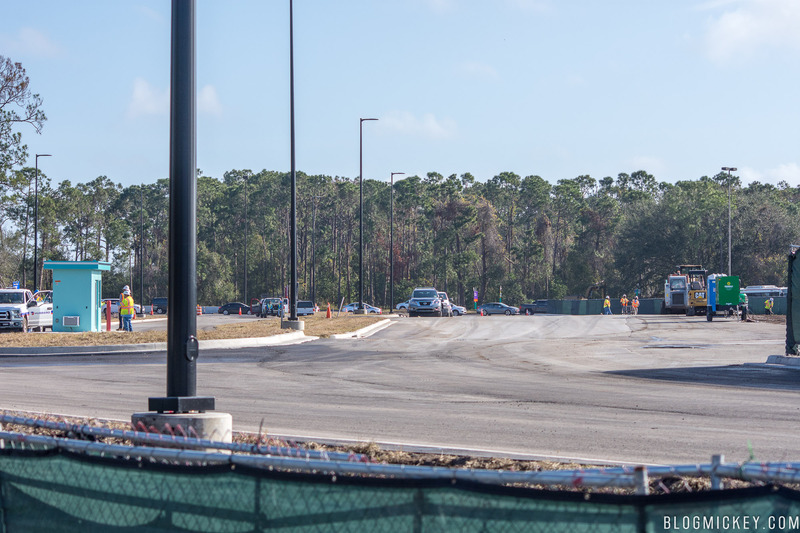 From the ground, we can see that the pavement is completed and crews are working on what appears to be a kiosk for parking lot Cast Members to stand in. A wider angle shows the proximity of the current parking plaza, just barely seen over the fence to the right. 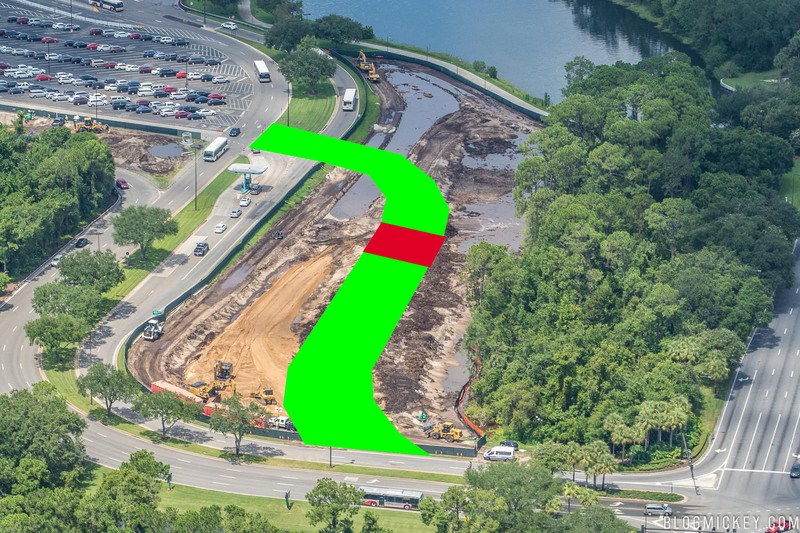 The parking lot at Disney’s Hollywood Studios is in the middle of a huge overhaul to accommodate for the surge of guests expected to visit the park once Star Wars: Galaxy’s Edge opens in 2019.